Portable servers are compact systems with enterprise-class hardware that aim to solve the current limitations of traditional server solutions. Designed from the ground up to be energy efficient, compact, and powerful, our portable servers allow for rapid deployment on the go. It is perfect for an ad hoc network, networking monitoring, and auditing. Traditional servers are limited by their large and bulky nature. 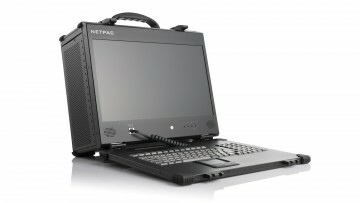 Our servers are portable with fast deployment and do not need to be in a server room. Next-generation, high-density storage workstation with up to 5 expansion slots. 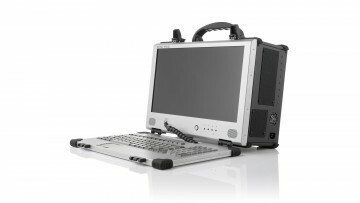 With up to 80 TB of storage, this portable computer is ideal for post production or test and measurement. 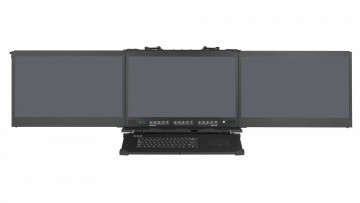 Triple 24" HD displays in a high performance, rugged portable setup. Designed as a flexible-use unit with 7x full-length expansion slots configurable for the most demanding applications. The MegaPAC L3 can also add an additional 3 displays totaling up to 6 displays by attaching our ML3 as shown in the pictures. 15.6" miniature portable workstation with 8 removable drives for up to 60 TB of storage.